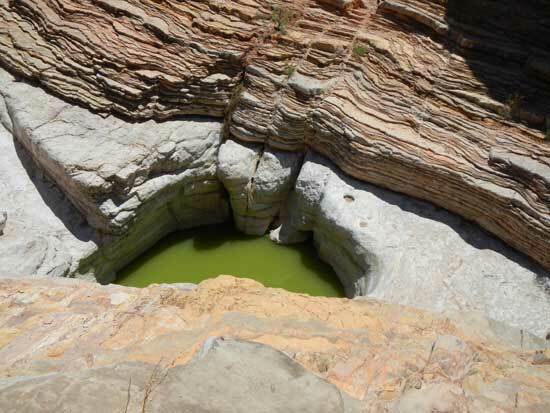 A tinaja is a depression left in bedrock that’s carved out by gravel and sand washing through from arroyos (seasonal streams). Be careful when you’re out there. Tinajas are a very important and fragile part of the desert ecosystem. Don’t leave anything but footprints behind. 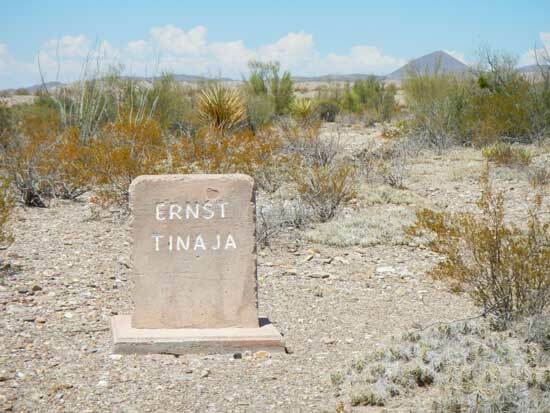 Ernst Tinaja is located just off of Old Ore Road in Big Bend National Park, between the La Noria and Camp De Leon back-country campsites. There’s also a campsite at the entrance to the Ernst Tinaja Trail. 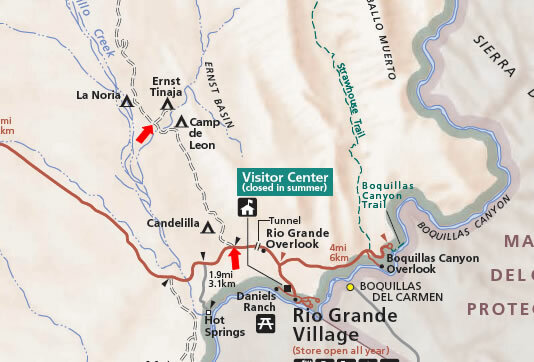 The fastest way to get to Ernst Tinaja is to take Old Ore Road, starting at its Southern entrance near Rio Grande Village. Head North a few miles and there will be an entrance marker on your right. You can park at the trail head and walk in on foot. You’ll need a high clearance four-wheel drive to get there. The trail head starts at a dry creek bed (if it isn’t dry, you should probably turn back). You’ll follow the trail for a little over half a mile to reach the tinaja. 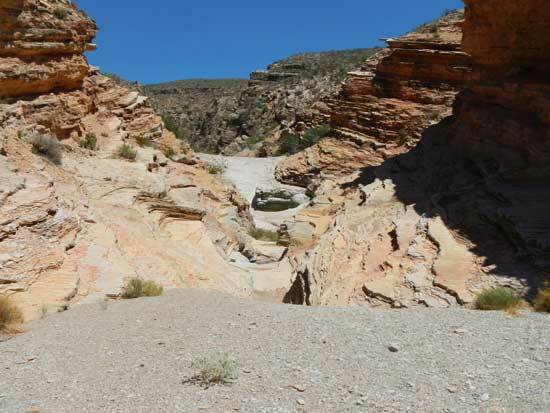 As you continue down the trail you’ll start a slight descent into a narrow canyon. The trail descends into a shallow canyon. You shouldn’t be anywhere near this area if it has just rained, or looks like it might anytime soon. 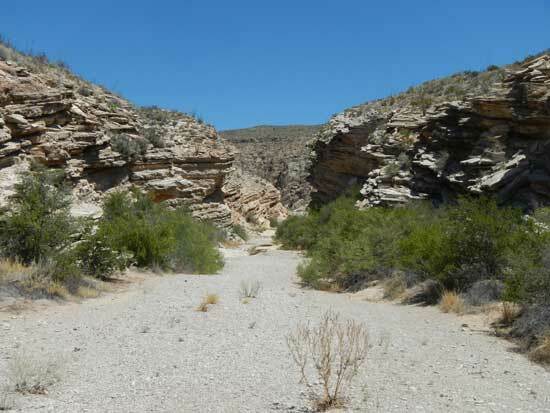 Trails near seasonal streams and especially tinajas can get very dangerous and are prone to flash floods. As you approach Ernst Tinaja, be very careful with your footing. 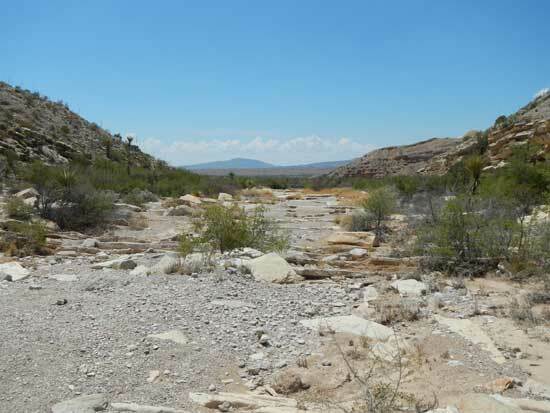 Animals have been known to fall into tinajas during times of drought trying to get to the water. Once in the tinaja, they can’t get out due to the slick, steep sides. Drinking water out of a tinaja isn’t recommended. The water can be toxic, and if you fall in, you may never get out. On the day we made this trip you could hear thousands of bees swarming down near the water. 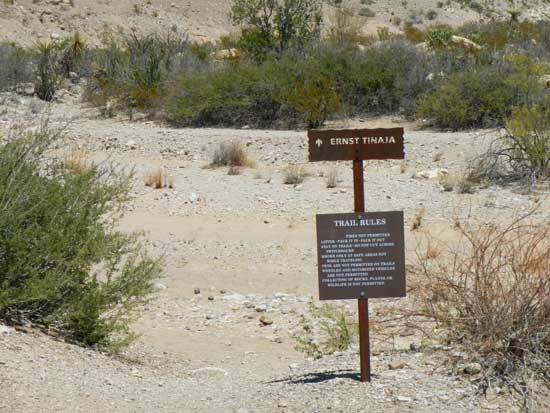 If you’re going to go down Old Ore Road, your most important stop will be Ernst Tinaja. Just remember, you need a four wheel drive vehicle with good quality all terrain tires, and don’t drink the water unless you want to feed the buzzards.